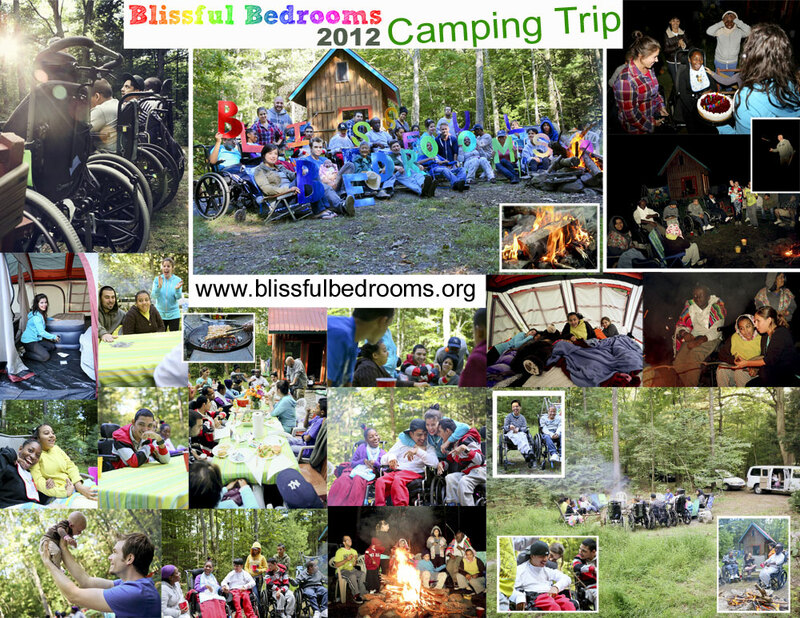 Blissful Bedrooms’ very first camping trip was a huge success!! It wasn’t easy to pull off, but it was worth all of the effort, and we plan to take our beautiful friends on many camping trips like this in the months and years to come!! The smiles you will see in the photographs below are genuine and heart-originating expressions of the joy these young people felt being immersed in the beauty of nature, and the happiness that comes from being part of a community of people that truly loves, understands and respects them. Special Thanks to everyone who made this happen, especially the volunteers who sacrificed their time, energy, money and sleep to make sure it all went off without a hitch. 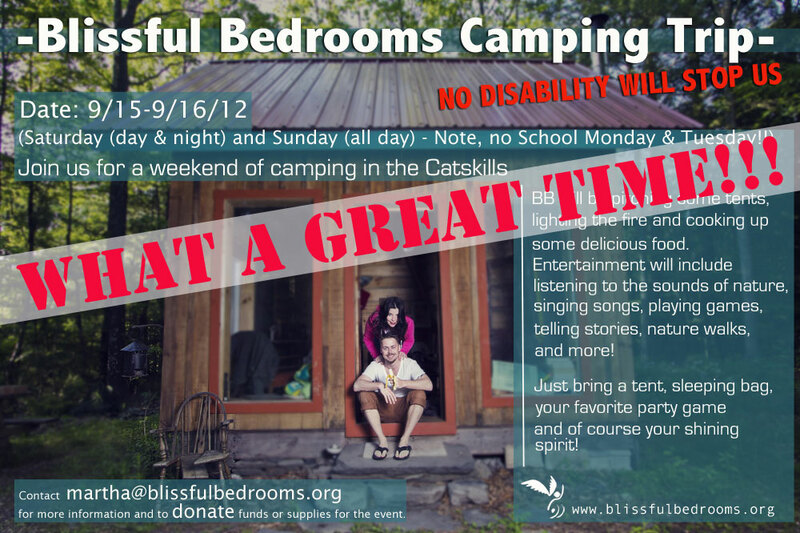 We are continually blown away by the compassion, humanity and love that the Blissful Bedrooms volunteers demonstrates for our special friends and their families. Thank you to Carin & Mark DeNat of Awakening Garden for opening their hearts to us and for inviting the Blissful Bedrooms family to enjoy their property for the weekend. Thank you to the Luis & Alma Jimenez Charitable Fund. Thank you to Raising Astoria/Bareburger for holding a fundraiser for our camping trip and much gratitude to all of those contributed. Thank you to International Meat Market for your help. Thank you to Budget Rental Car at LaGuardia Airport for your help.